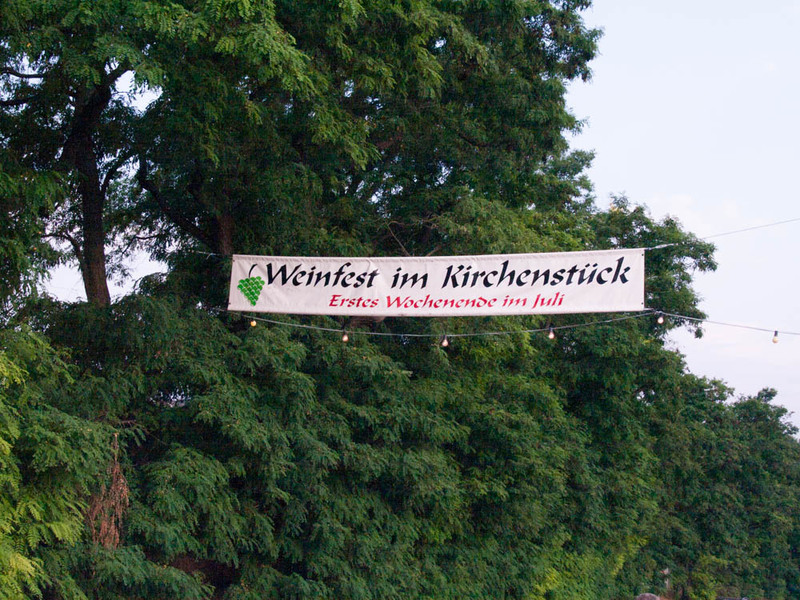 At the Weinfest am Kirchenstück. July 5, 2015 Most Americans associate Germany with beer–Pilsner and Weizen, Oktoberfest, etc etc. 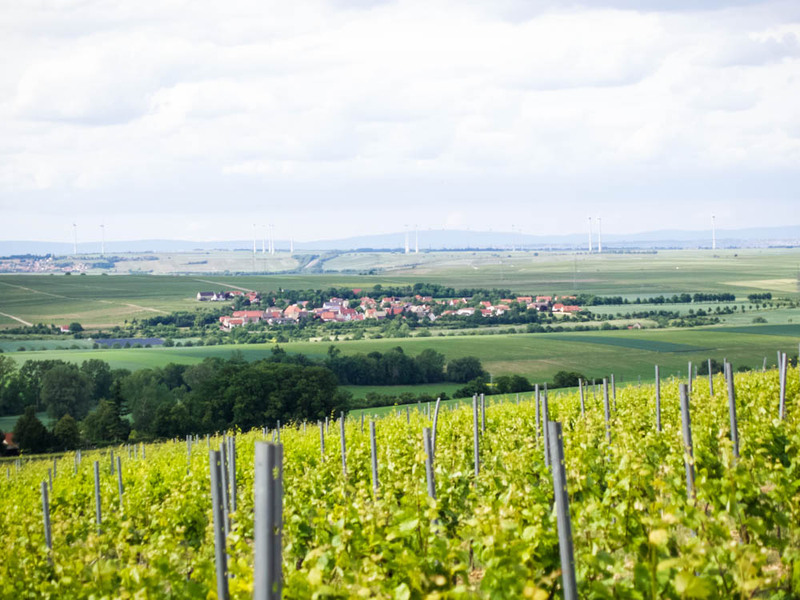 But I am living in Rheinhessen, the single largest wine-producing area in the country, which means that the Germany I know is the land of wine. 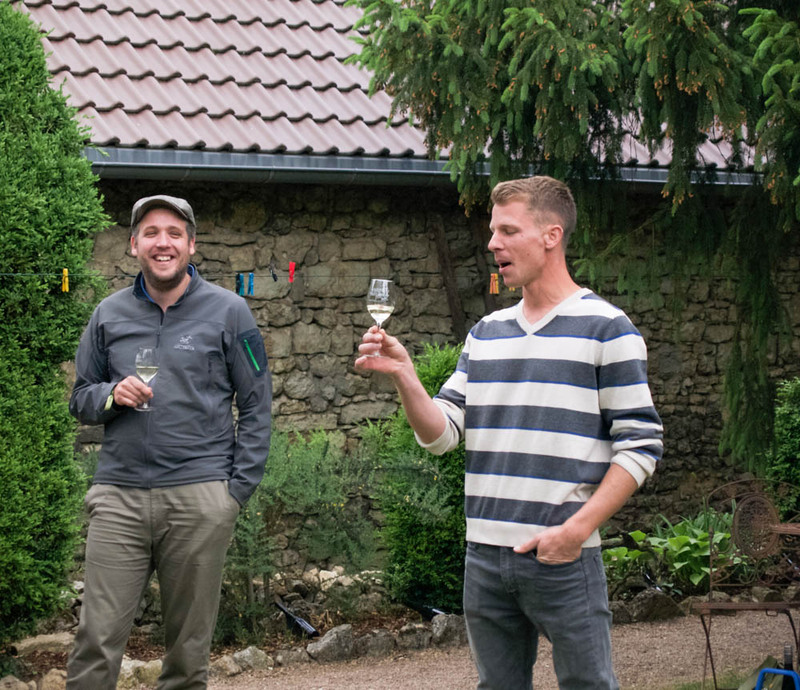 Weinkultur–Wine Culture–is definitely a thing. Here, wine is much more than something you pour at dinner, is about much more than the alcohol content. 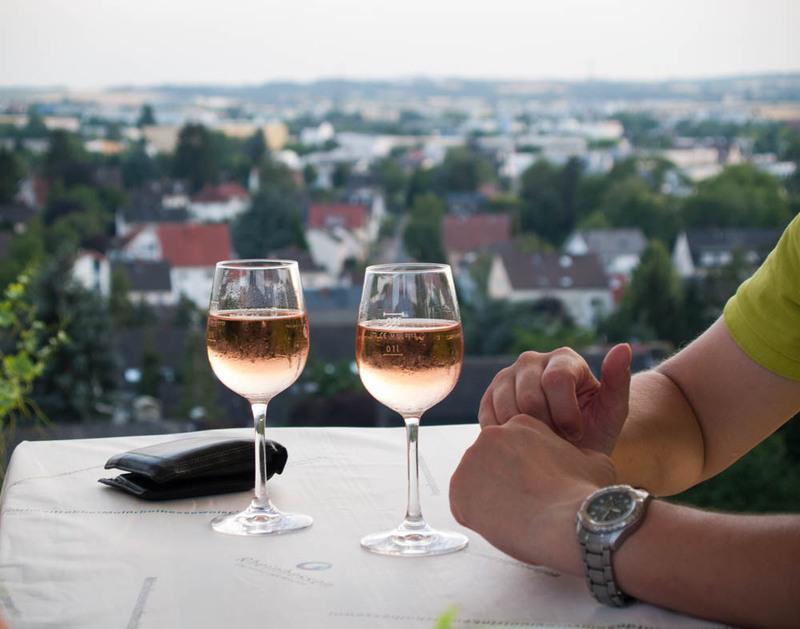 You don’t just drink wine–you talk about it, you debate and discuss, you admire. 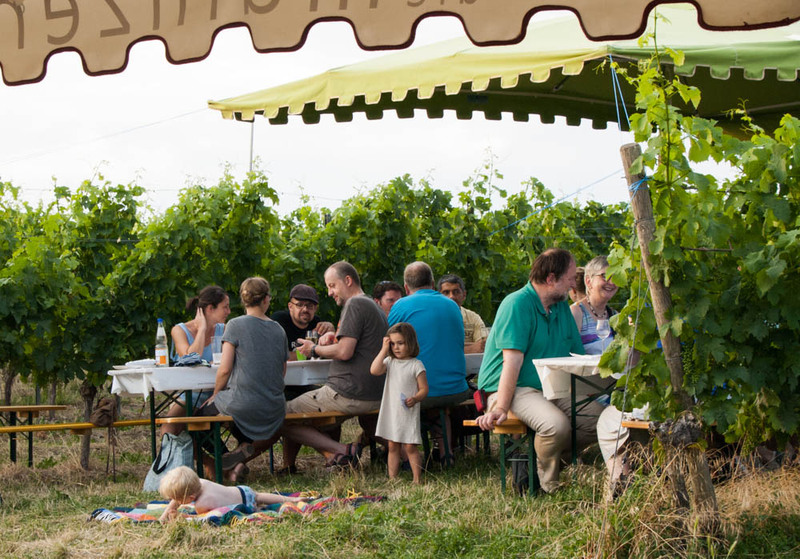 You make a trip once a year to your favorite tiny winery somewhere in Flomborn or Büdesheim or Bingen and come back with a trunk full of €600 worth of champagne. You sit every Friday night in the same Weinstube you have been going to since after the Second World war and make speeches about the Riesling for the benefit of the Mädchen from America. 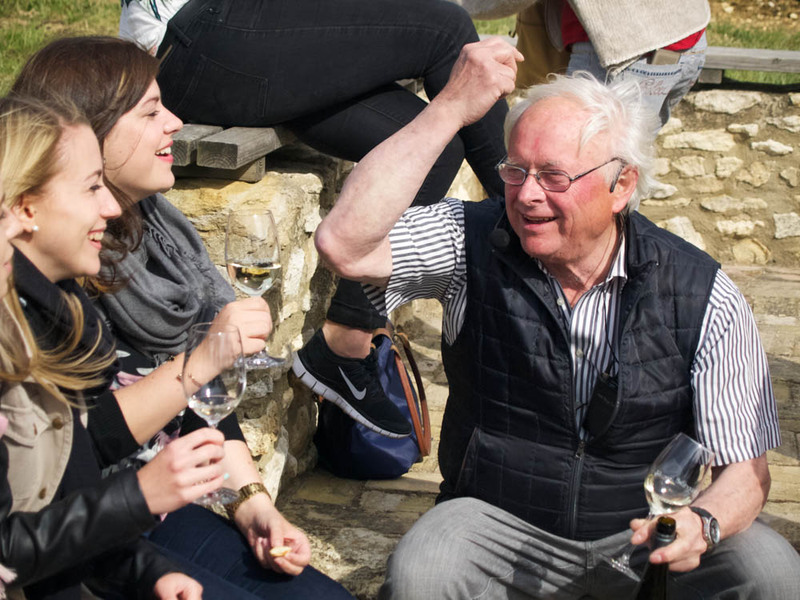 It’s an art form in and of itself, talking about wine, and the amount of knowledge and genuine passion the average Weinstube-goer brings to the discussion is absolutely staggering. It’s like the way my little brother talks about baseball, or the way my piano teacher could compare the voices of Fischer-Dieskau and Wunderlich–the finest of nuances spun out into story, with a whole poetic vocabulary and symbolism to match. I’m learning, too. After a year, I know what I like–dry Riesling, a good Rosé, and every now and then an Auslese because they taste like whatever the gods were drinking on Homer’s Olympus. But I’m no expert, can’t work out all the tiny differences that transform the drinking and talking about of wine into a sort of creative act. 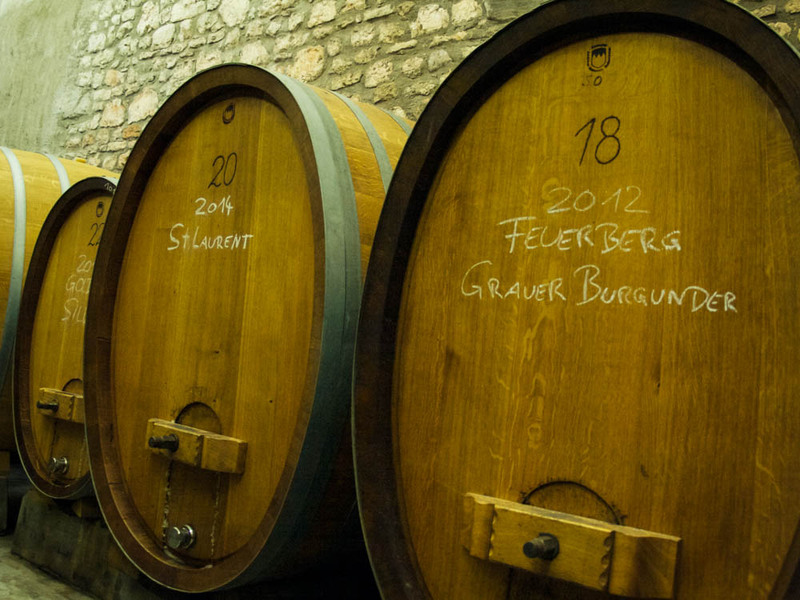 In Mainz, the opportunities to celebrate, learn about, and, most importantly, to drink wine abound. The city is one of the eight Great Wine Capitals in the world, after all, and people are verdammt proud of it. 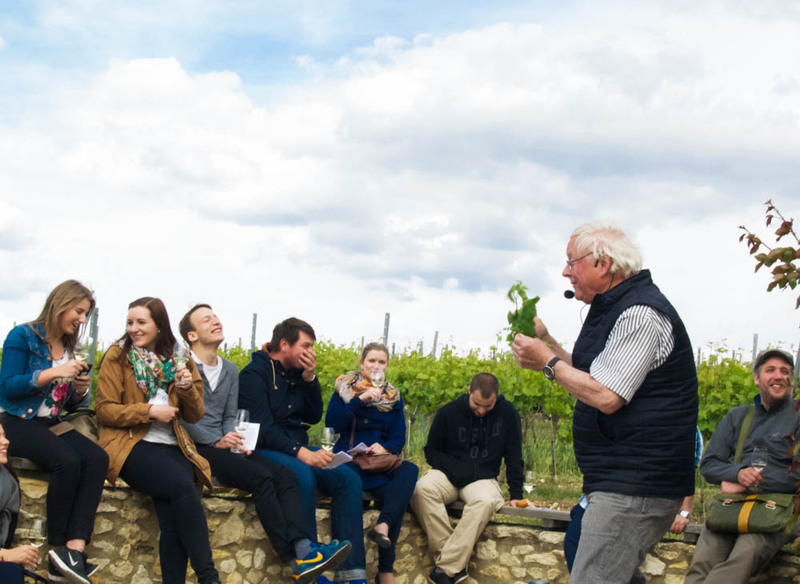 At the University of Mainz, for instance, the student-run group Uni Vinum organizes a “Wine Express” once a month for students–€15, a charter bus, an afternoon of wine-tasting at a couple of the hundreds of wineries in the area. Most are small family businesses run by multiple generations, with histories that go back hundreds of years. A wine-tasting includes a tour of the vineyards and a presentation of the wines by a member of the family, with plenty of opportunities to ask questions and peek behind the scenes. For newcomers such as myself, it’s perfect. 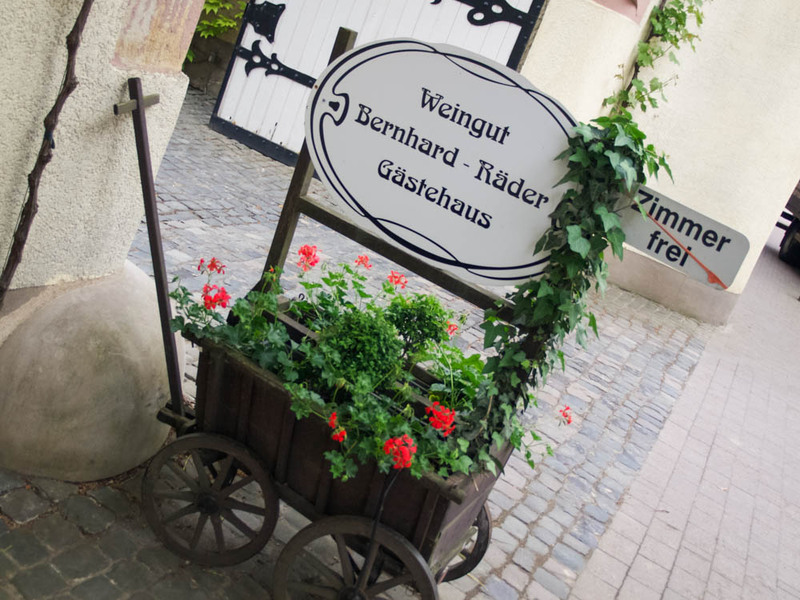 The need to diversify–many wineries have a small Gästehaus, or bed-and-breakfast inn, alongside the wine business. For me, equally as fascinating as the wineries themselves is the chance to be on the other side of agritourism for a change. When I am at home, on the farm and bed and breakfast in in Vermont, I live the family business. There, I am the second generation, the daughter on the family farm who serves simultaneously as actress, tour guide, and seductress of the curious strangers whose money allows us to do what we do. At home, as in Germany, it is all about storytelling. My ancestors purchased the land in 1650, I grew up in these vineyards with my father, we are the only fully organic winery in the area–my parents came from the city and started the business from scratch 30 years ago, I spent every summer in the garden with my mother, we are the only farm with Gotland sheep in New England. A family business is a family business, whether in Germany or America, and the rhetoric is always the same. A multi generational affair: above, the son (on the right–to the left is Max Lindemann, the force of energy behind Uni Vinum), below, the father. And a cute cat, of course. 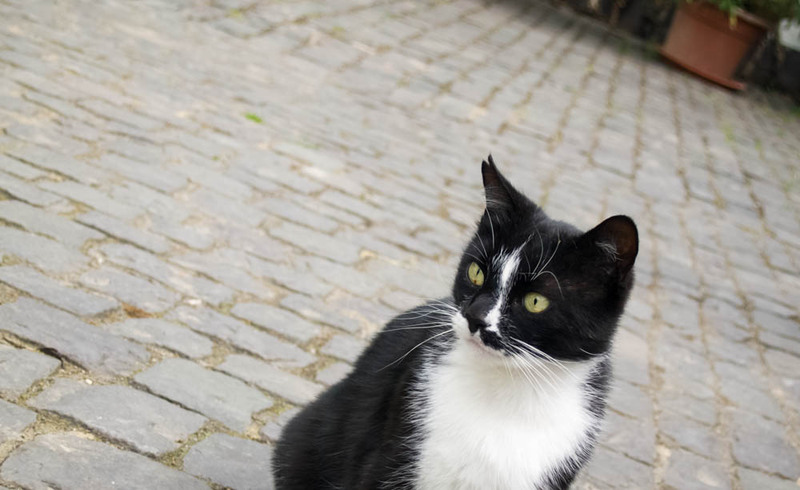 The presence of a small and fluffy animal is guaranteed to increase the buying power of tourists. 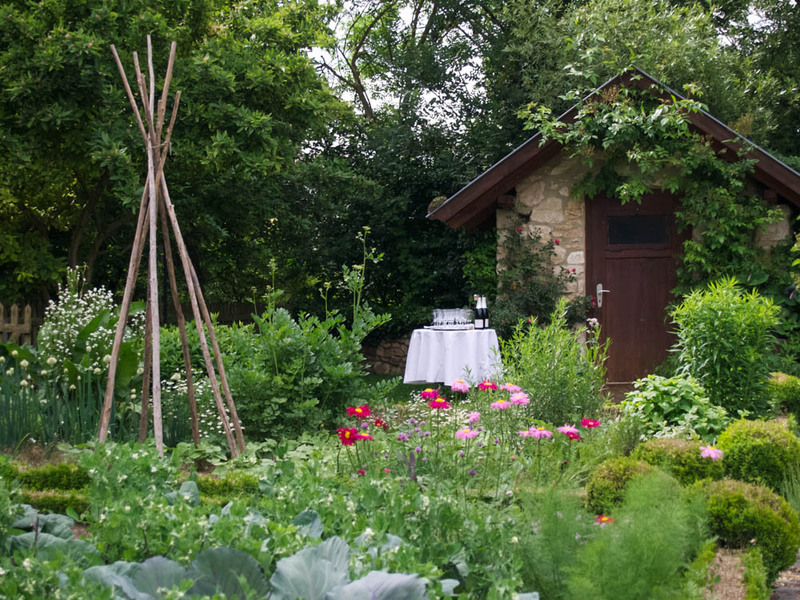 Champagne reception in the garden…. 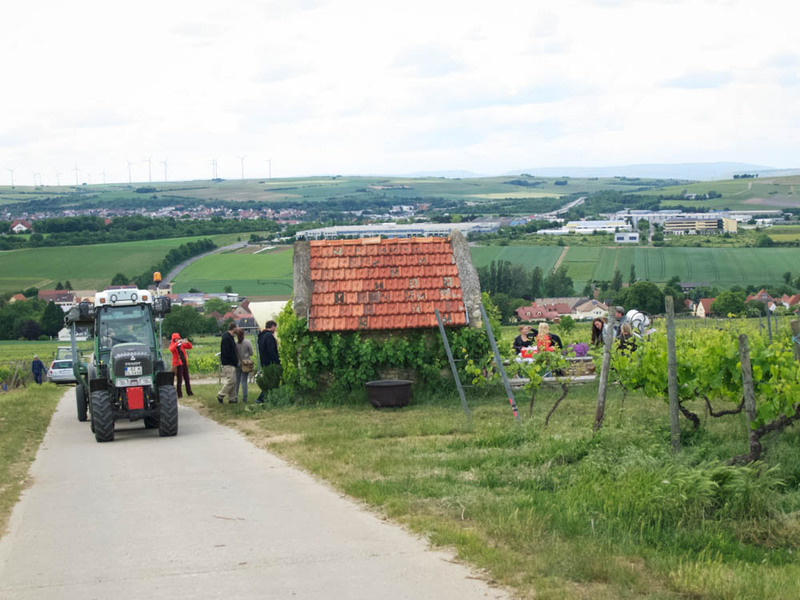 …and then a tractor ride up to the top of the vineyards for wine tasting. 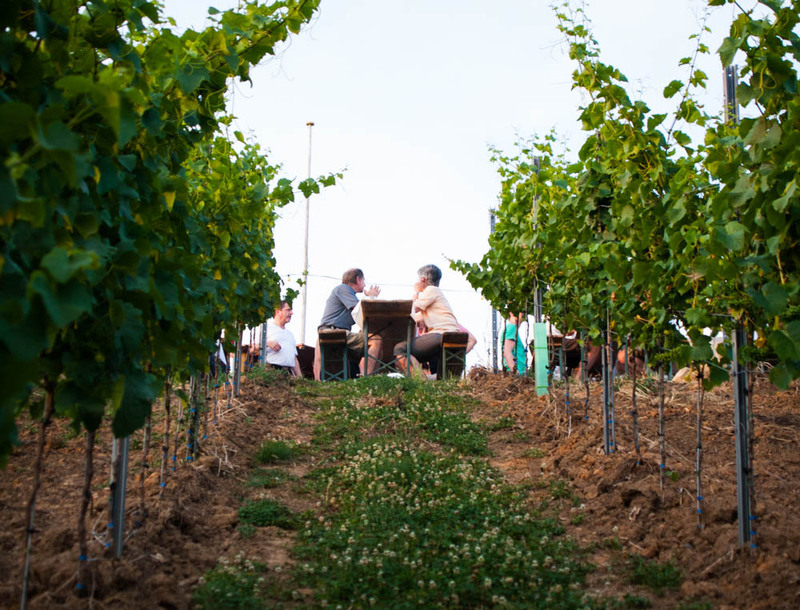 For those who want access to more than one winery at a time, however, there are the dozens of wine festivals taking place in the area at any given moment during the summer. 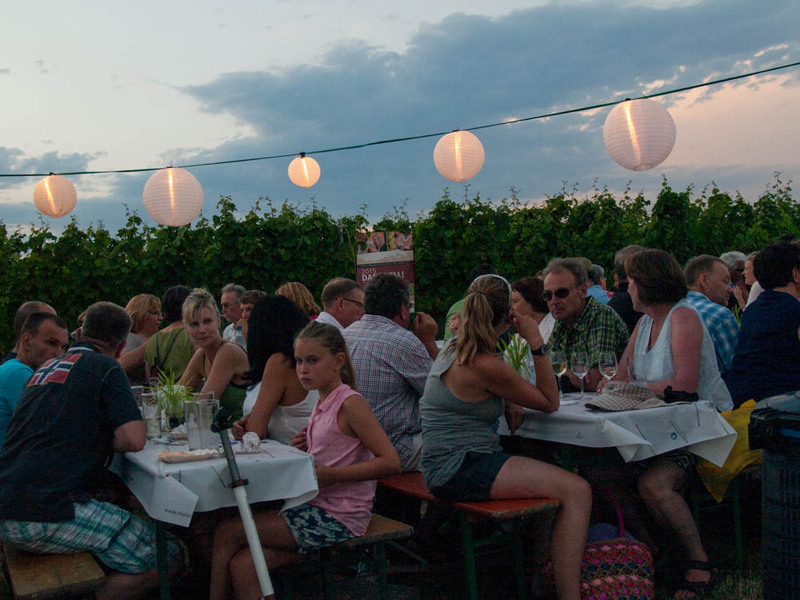 They range from tiny–a few stands at the corner of some vineyard on the Rhine–to immense–the Weinmarkt in Mainz lasts for two weekends and attracts hundreds of thousands of visitors. 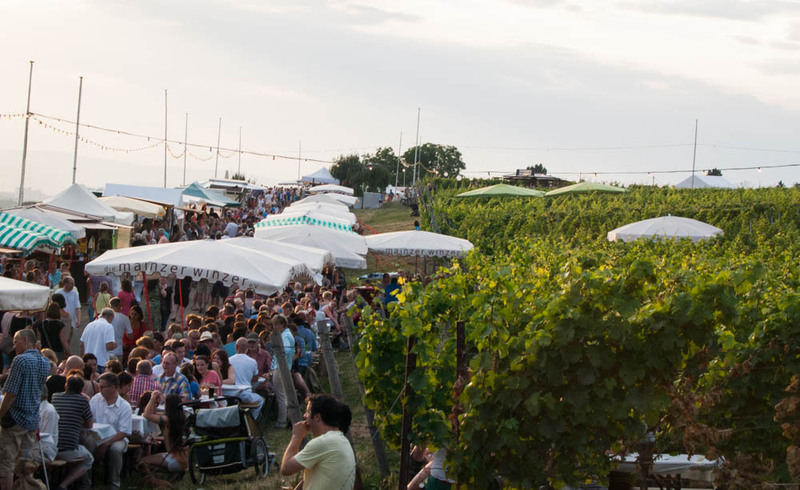 Last night, for instance, I went to the festival on the Kirchenstück, a small vineyard right outside of downtown Mainz. 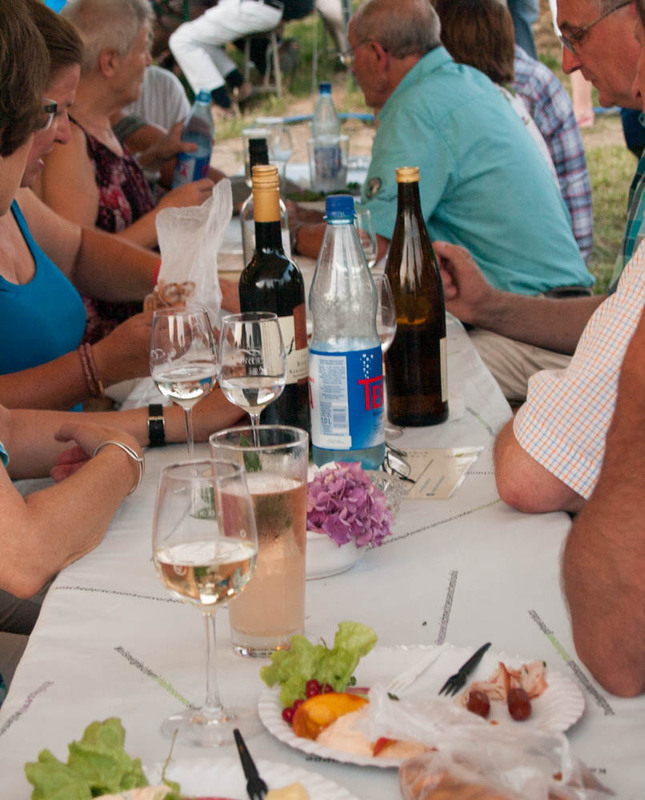 It was a local affair, almost entirely free of international tourists–no live music, no fancy show, just picnic tables set up between the rows of grape vines and a field turned into a make-shift parking lot. The German couple I was with knew many of the wineries personally. And it was absolutely gorgeous. 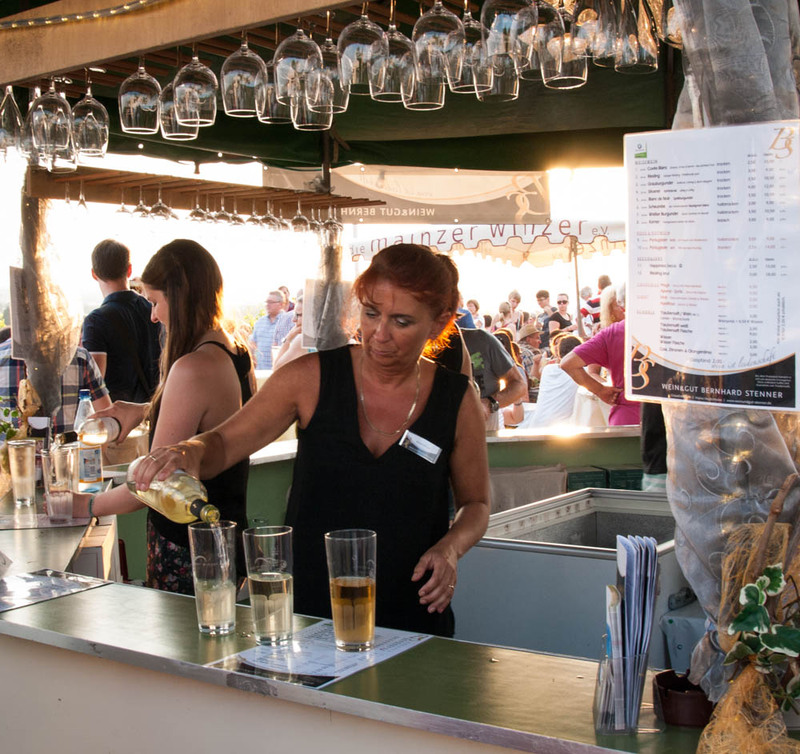 Weinschorle–half wine, half sparkling water–is very popular when the temperatures are in the mid 90s, as they were last night…. When we left it was nearly midnight, and people were still coming in. Lanterns strung up over the road, crates of empty wine bottles stacked behind the stands, children running down between the long rows of grape vines. They were probably going to be there all night. This entry was tagged agritourism, DAAD, Deutschland, farm, food, Germany, Grand View Farm, Mainz, nature, photography, small business, uni vinum, vineyard, wine, wine tasting, winery. Bookmark the permalink. One of my seminars was held in Mainz. Saturday evening, we were treated to a wine tasting. It was such a wonderful experience! I hadn’t realized how much wine-tasting is an art, and how creative talking about it can be. Sounds like you had a really nice experience at the Winefest. sounds like a lot of fun. You have a great way of describing the way you see things.